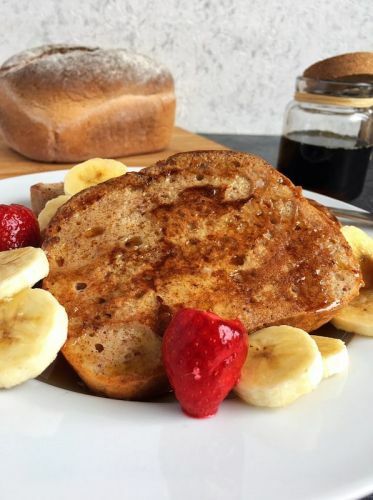 Hands up if you love French Toast!! OK, I can’t see your hands (obviously), but I’m guessing you love it because most people do. 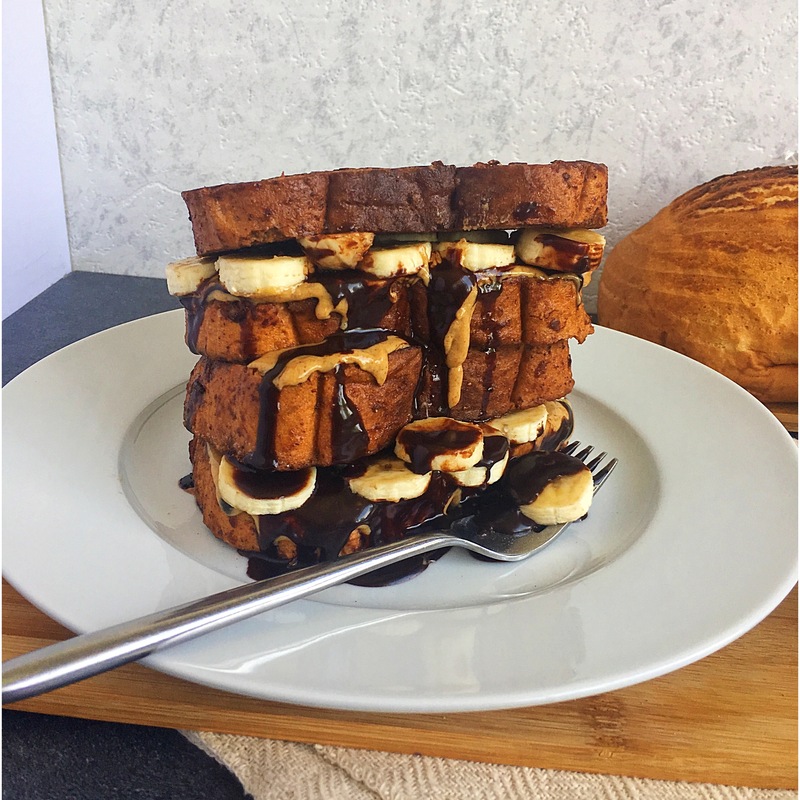 So I’m really excited for you guys to try my latest recipe because it takes French Toast from being a breakfast/brunch item to something worthy of being on a dessert menu! What is it? 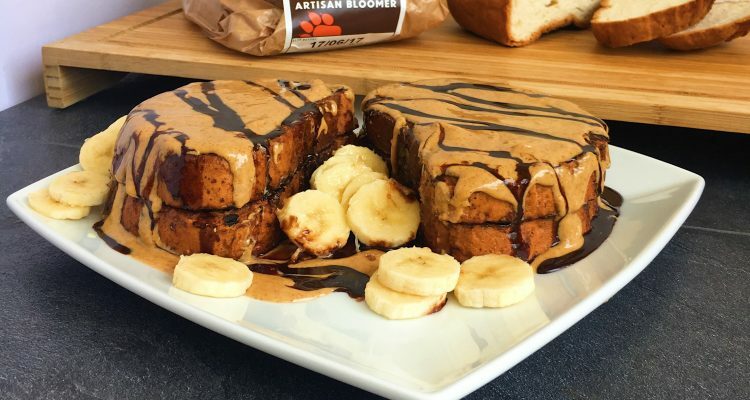 Chocolate Peanut Butter French Toast!! Yep, you read that right! 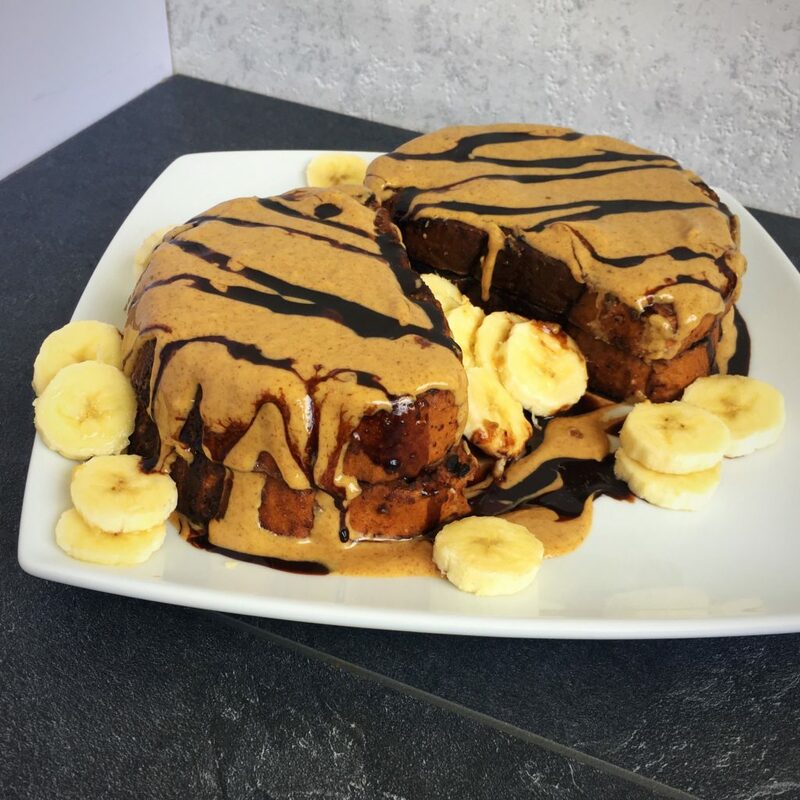 Some of my absolute favourite foods are chocolate, peanut butter and French toast, so I thought why not combine all of them to make a delicious beast of a dish using the latest gluten-free creation from Newburn Bakehouse by Warburtons – the Artisan Tiger Loaf!? 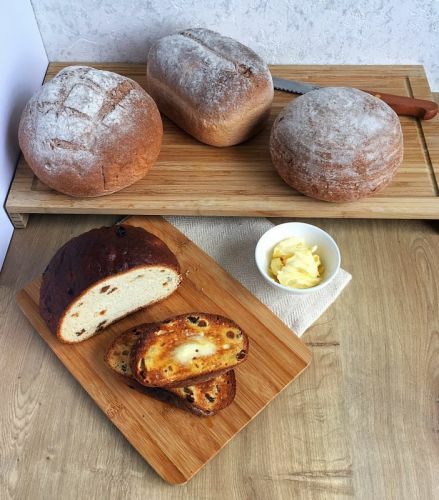 Having tried every single one of the loaves from their new Artisan range, I can honestly say they are absolutely delicious, and I wanted to create a recipe that shows off just how perfectly soft the Tiger Loaf is. Seriously, I never used to be a big fan of bread before because gluten-free bread can be so hit and miss – I’m sure you know what I mean. But (unlike ye olde gluten-free bread) Newburn Bakehouse’s Artisan loaves don’t have holes big enough for a small family to live in. In fact, because the hand-finished loaves come unsliced, in my opinion they’re perfect! The Tiger Loaf actually tastes so good that I was slicing thick wedges of it the other night and just enjoying it plain! Try it and let me know if you’re as big a fan as I am. 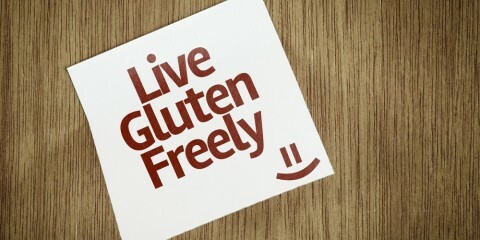 READ Come to the Allergy and Free From Show! 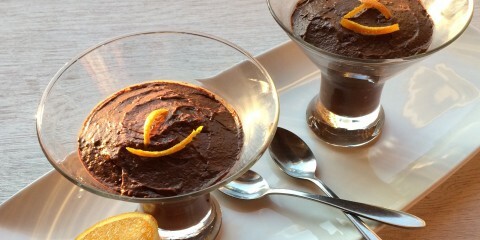 Whisk the eggs, cashew milk, cinnamon, agave nectar, vanilla extract, peanut butter and cacao powder together in a bowl. Place a frying pan on the hob at low/medium heat and once heated up put the rapeseed oil in. Take one slice of bread and dip it in the mixture in the bowl coating it and turning it over to absorb the mixture. The Tiger Loaf bread is super thick and soft so it might take a minute or two to soak up the mixture, so give it some time and when you’ve finished most of the mixture should be gone. If you still have loads leftover, let the bread soak up some more. Then place the slice of coated bread in the frying pan and fry until golden brown, flipping it over to make both sides golden brown. Repeat with each slice of bread. Serve with peanut butter and chocolate sauce (or Choc Shot) and some sliced banana. 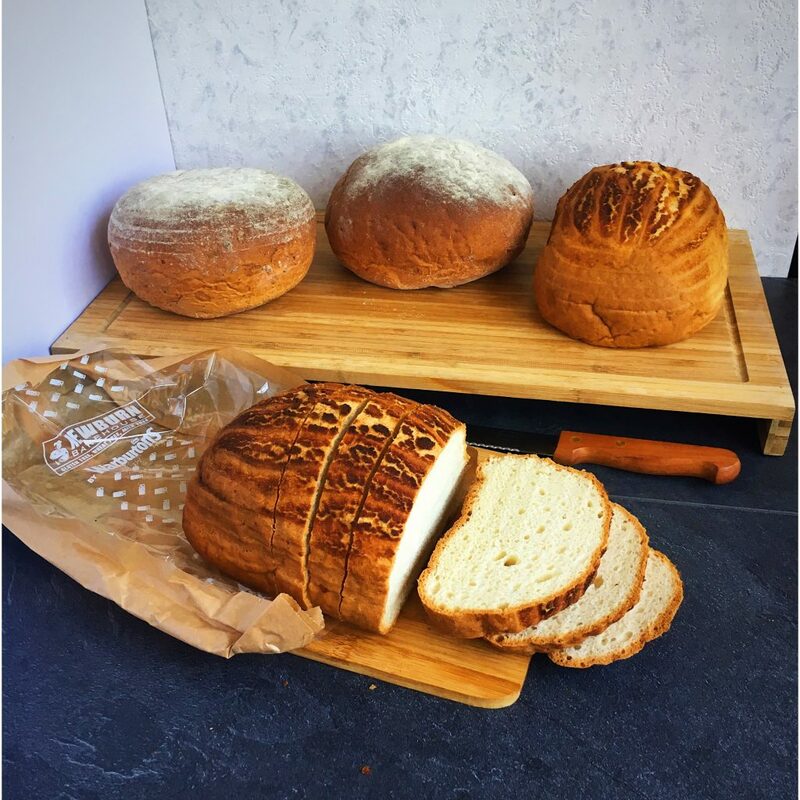 The loaves are all made at the dedicated gluten, wheat and milk free bakery in Newburn so they’re suitable for a range of food intolerances. The Tiger Loaf is exclusive to Sainsbury’s, but the others are all available in Morrisons, Sainsbury’s, Tesco and Waitrose. To find your closest stockist, type your postcode into their handy store locator here. Please also check out my recipes from last month using some of the other delicious loaves from the Newburn Bakehouse Artisan range.